Getting back to actually taking the photos with your iPhone. Forget filters and frames and highlights and even cleanup. CameraSharp takes me back to the actual action of taking the photo and not the clean up. 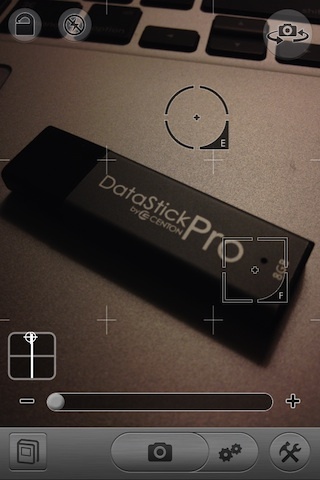 The (current free) app starts off by making it easy to do a focus and exposure area split. 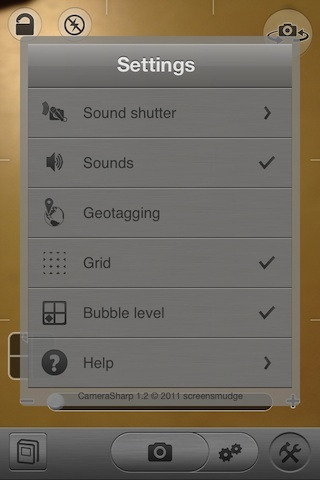 Instead of a single area that has to be dragged about, CameraSharp focuses where you tap with one finger and set’s the photos’ exposure where you tap with two fingers. On the screen is quick access to a zoom slider and a nice level indicator too. There is also a variety of photo taking helpers to use while taking your pictures available through the menu next to the shutter button. Each of the CameraSharp options have additional tuning like the Continuous offers numbers of shots and interval between the pictures in seconds. 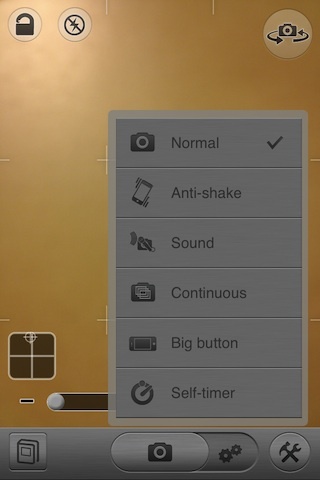 The CameraSharp Settings area lets you turn on/off what you see while your taking your photographs.